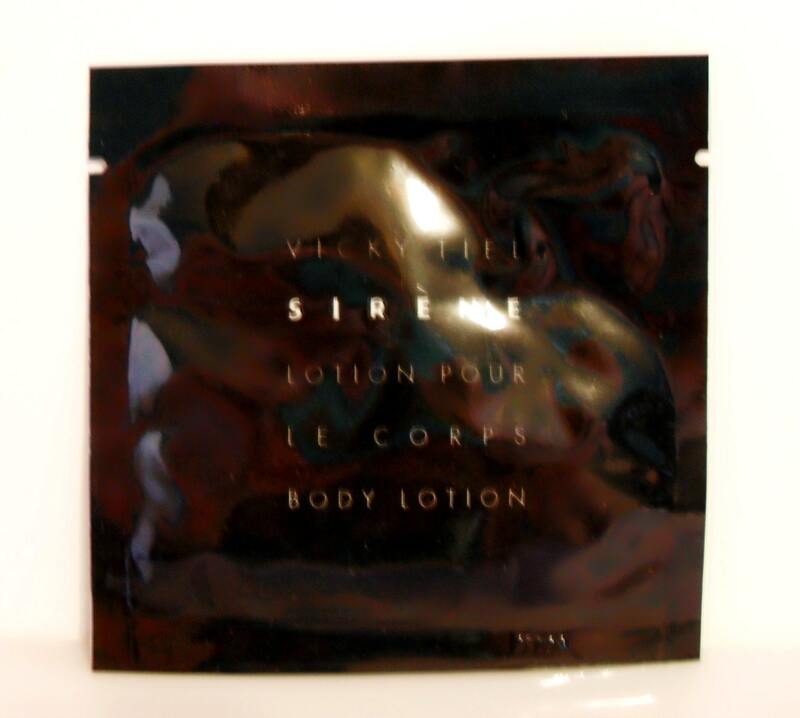 Vintage 1990s Sirene by Vicky Tiel Perfumed Body Lotion Sample Packet. According to the back of the packet, this was part of the Oceanic Bath Collection, drenched in rich botanical extracts from the sea to revitalize and rebalance the skin. The Body Lotion is a creamy lotion that contains emollients, sea botanicals and humectants to give the skin tender care and leaves skin soft, supple and scented with the opulently floral Sirene fragrance. Launched in 1994, it is classified as a powdery floral oriental fragrance for women.